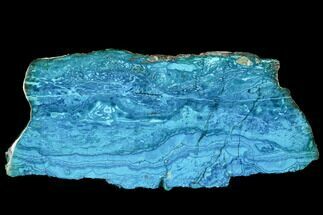 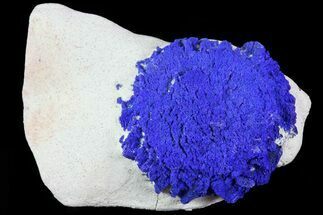 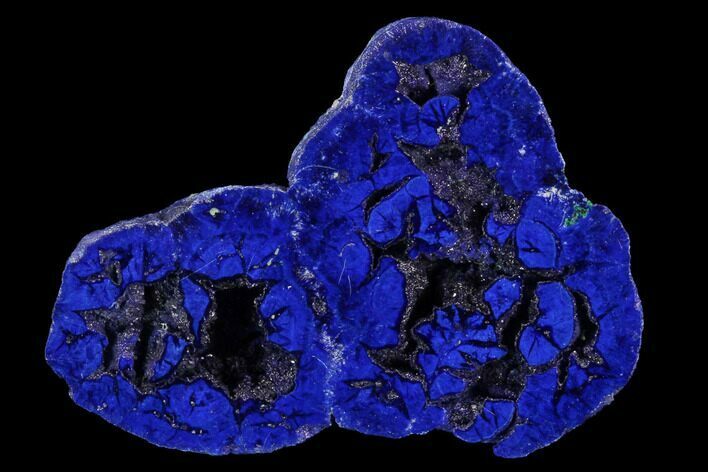 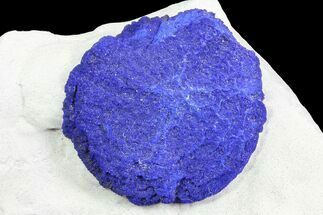 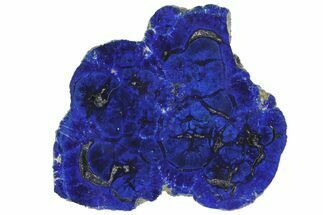 This is an incredibly vivid, blue azurite nodule that has been cut in half and polished. 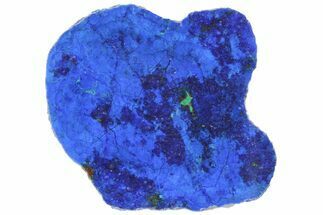 Small pockets darker, druzy azurite crystals are visible in the polished face. 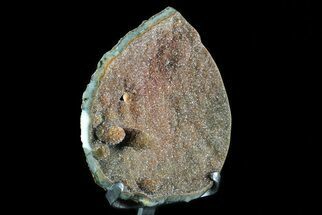 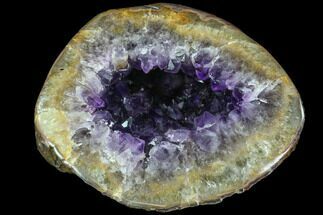 One half of the nodule is included. 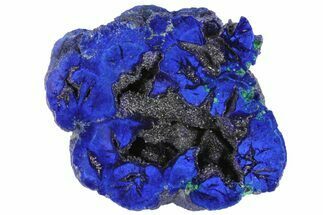 These vibrant nodules/geodes come from Poteryaevskoe Mine near Rudnyi Altai in Siberia.